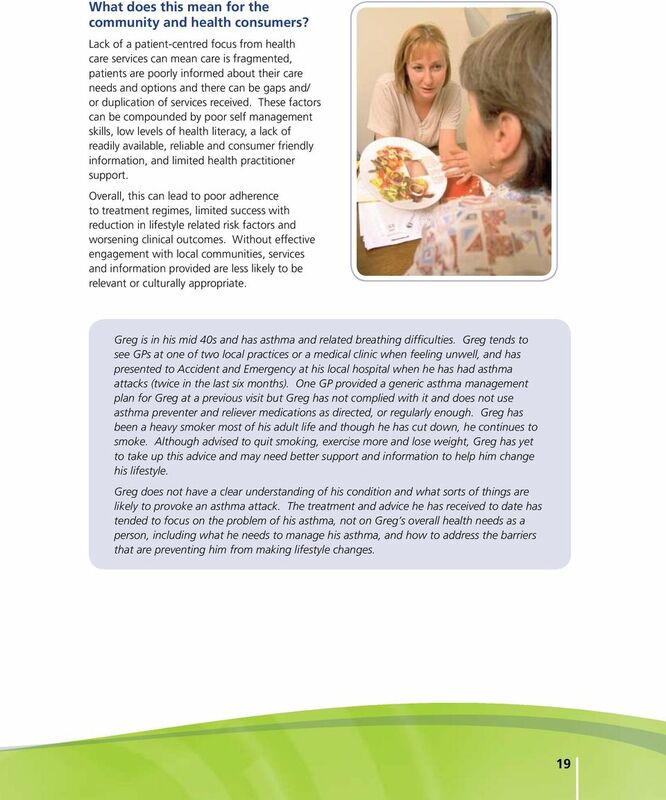 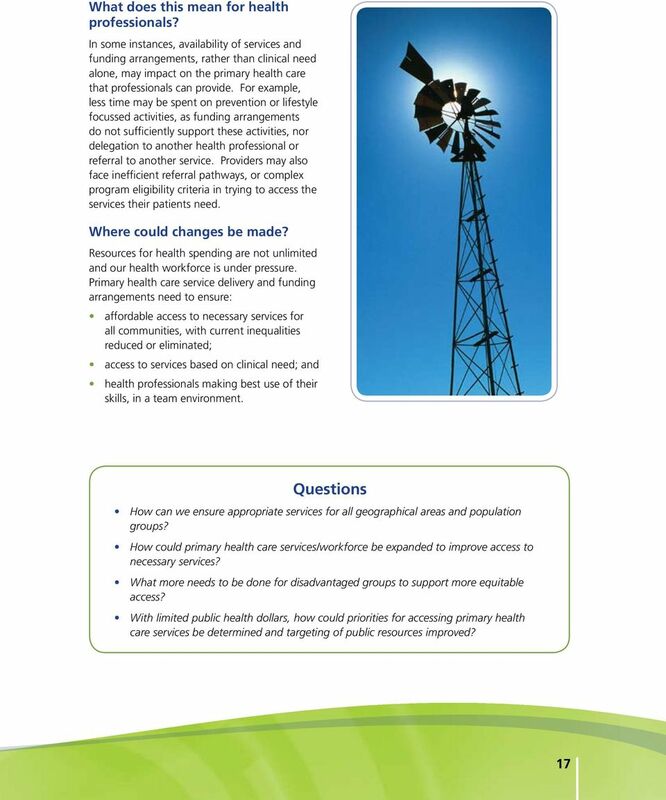 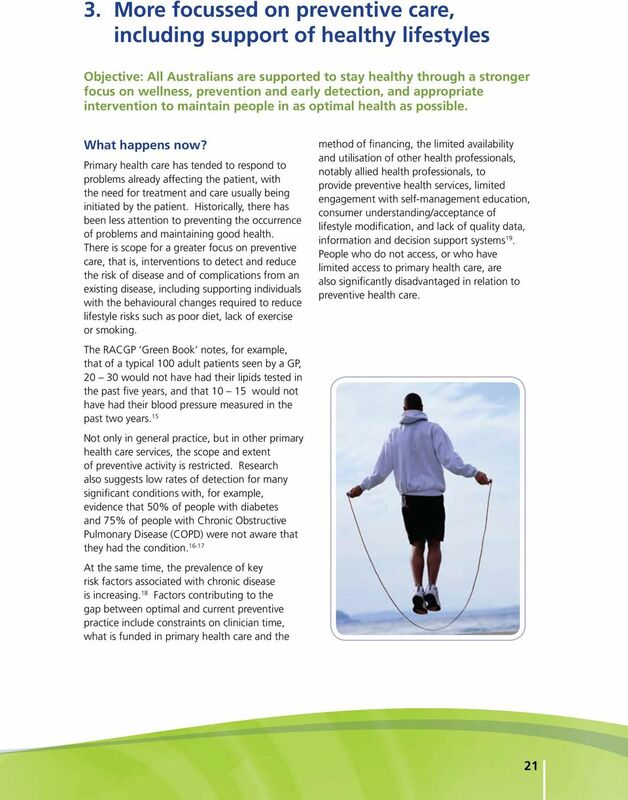 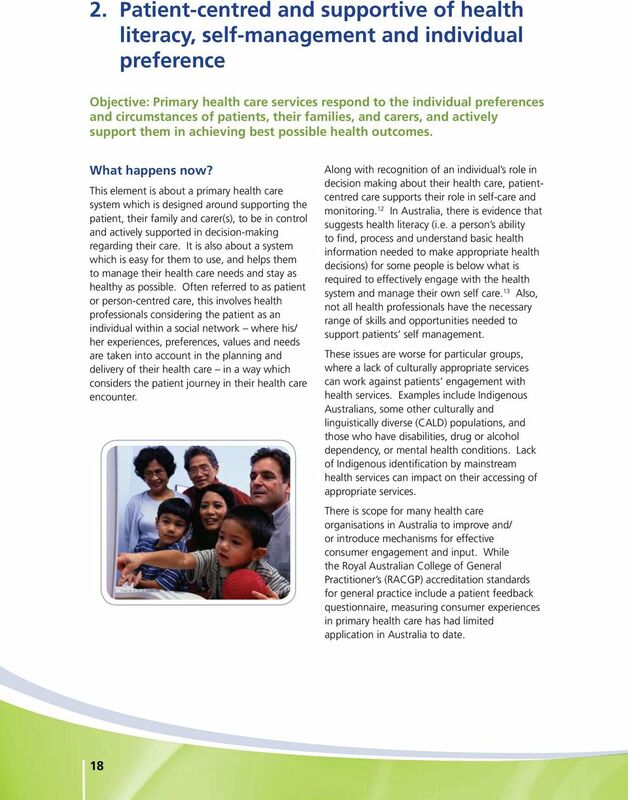 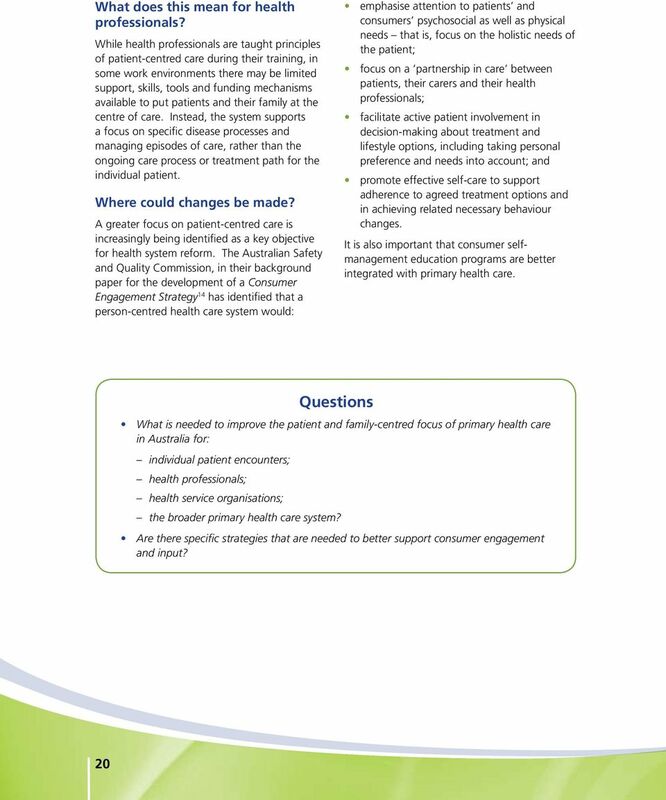 Download "Towards a National Primary Health Care Strategy. 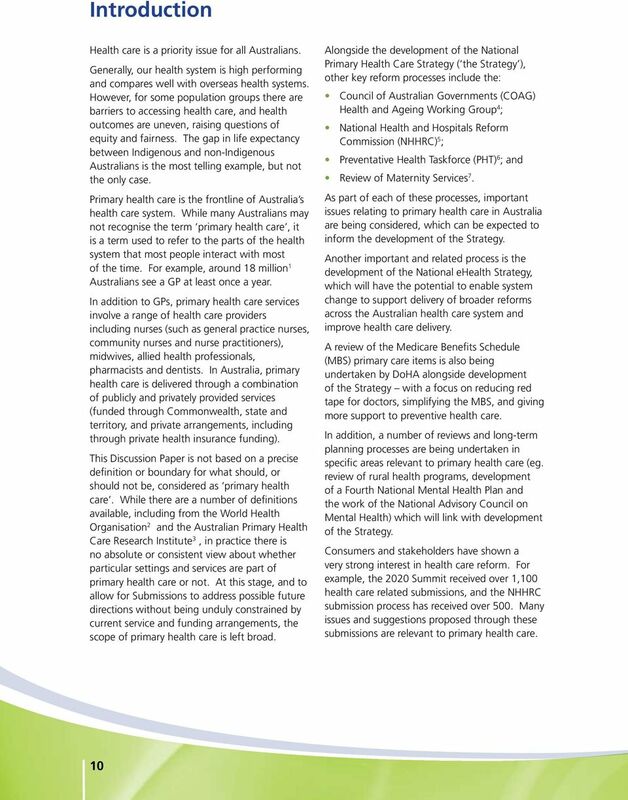 A Discussion Paper from the Australian Government"
Foreword. 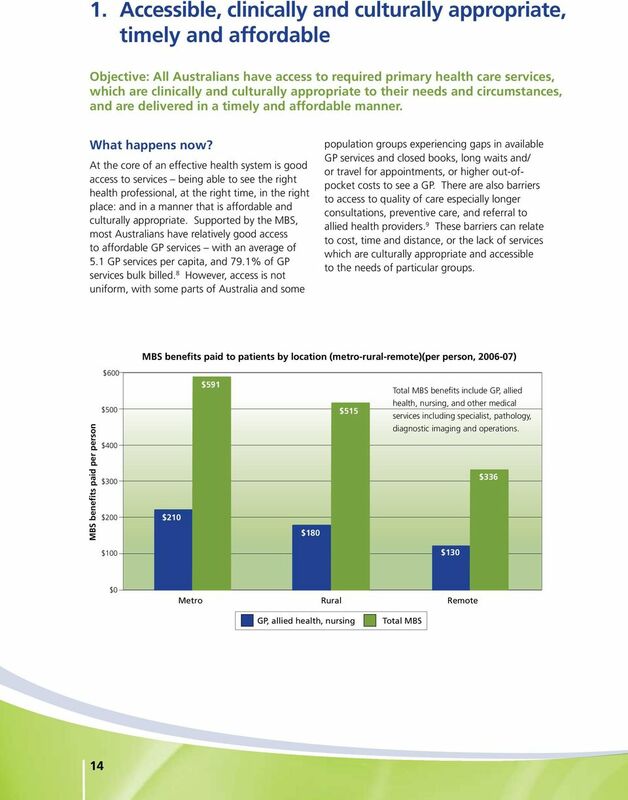 Closing the Gap in Indigenous Health Outcomes. 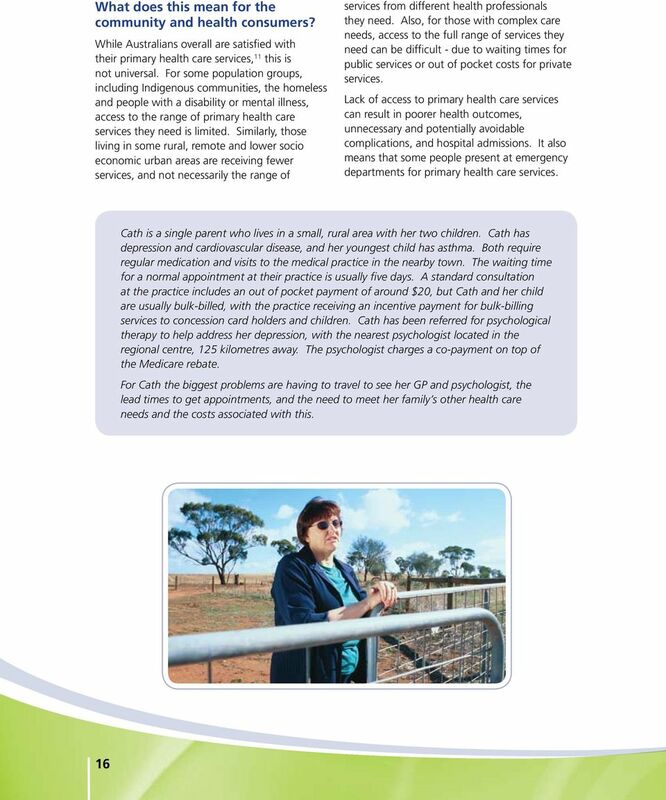 Indigenous Early Childhood Development. 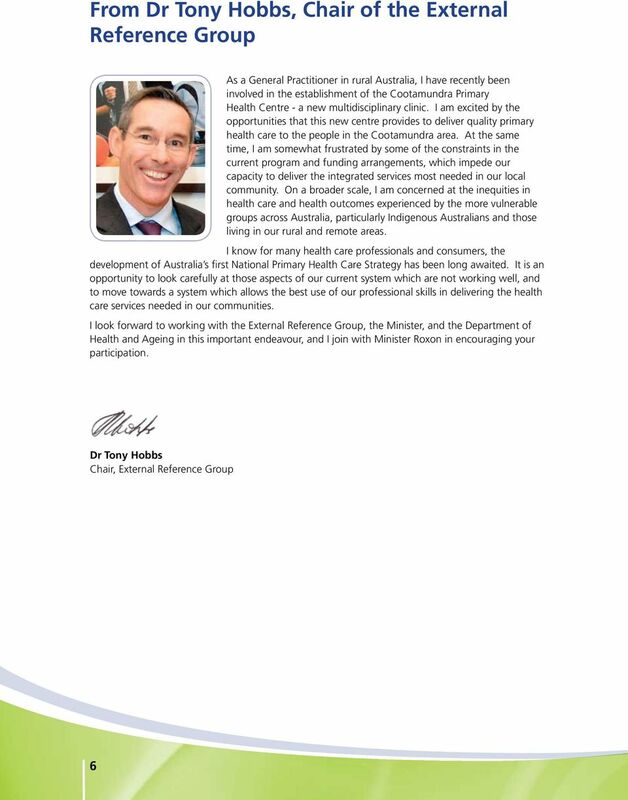 Indigenous Economic Participation. 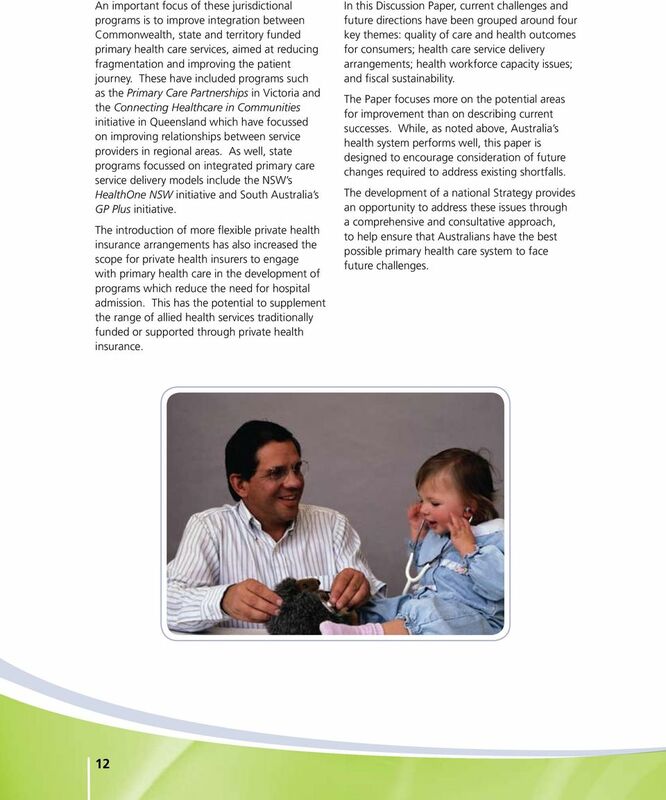 Dear Member, The Federal Treasurer, The Hon Wayne Swan MP, yesterday released the 2012-2013 Federal Budget. 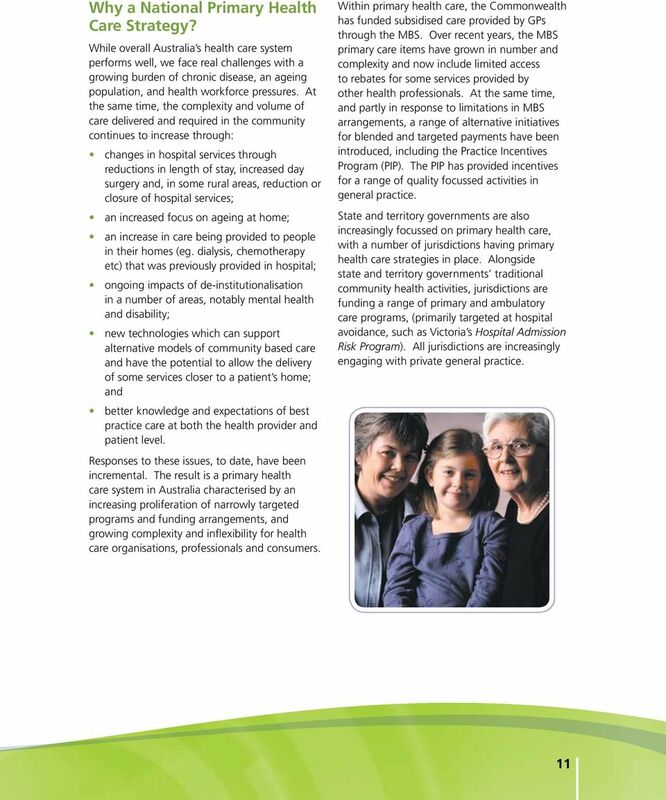 In 2012-13, the Commonwealth will provide funding of $15.5 billion to support state health services. 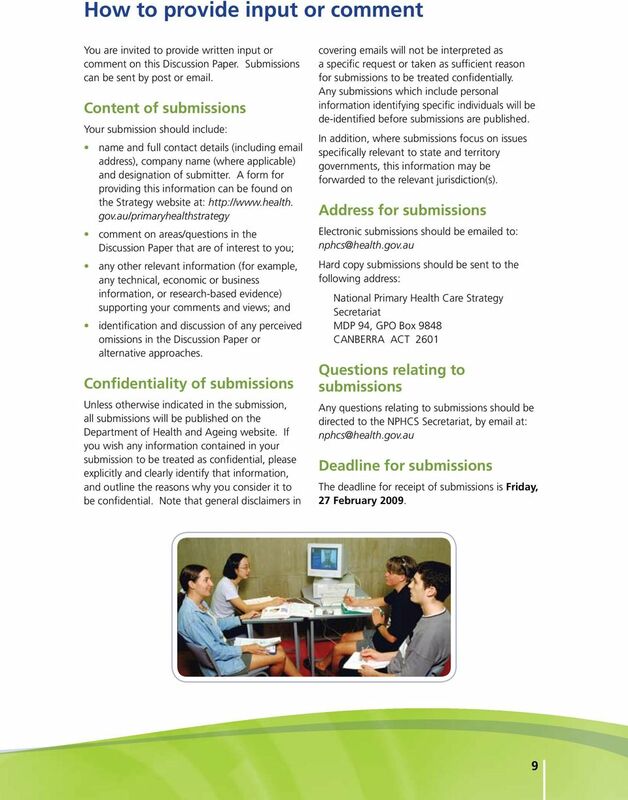 to inquire and report on health policy, administration and expenditure. 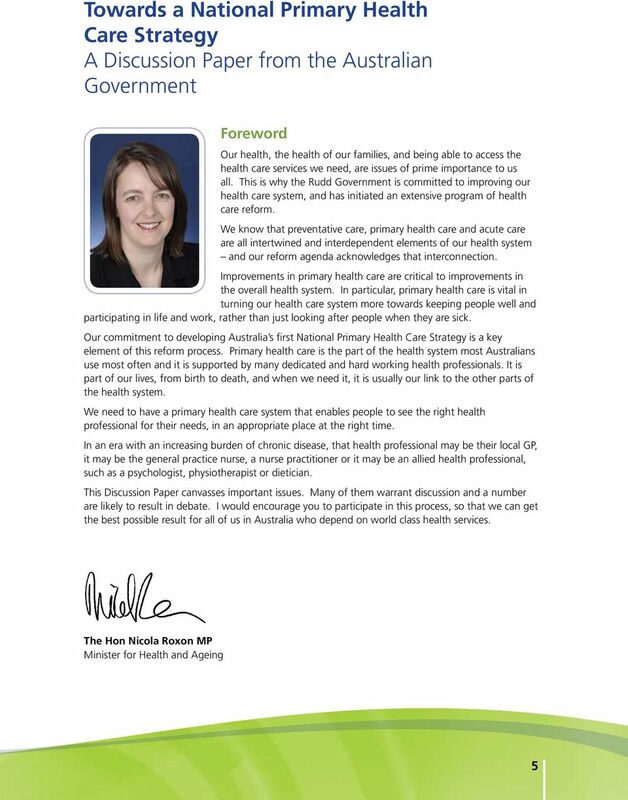 Thank you for the opportunity to comment on the terms of reference for the inquiry into the out-ofpocket costs in Australian healthcare. 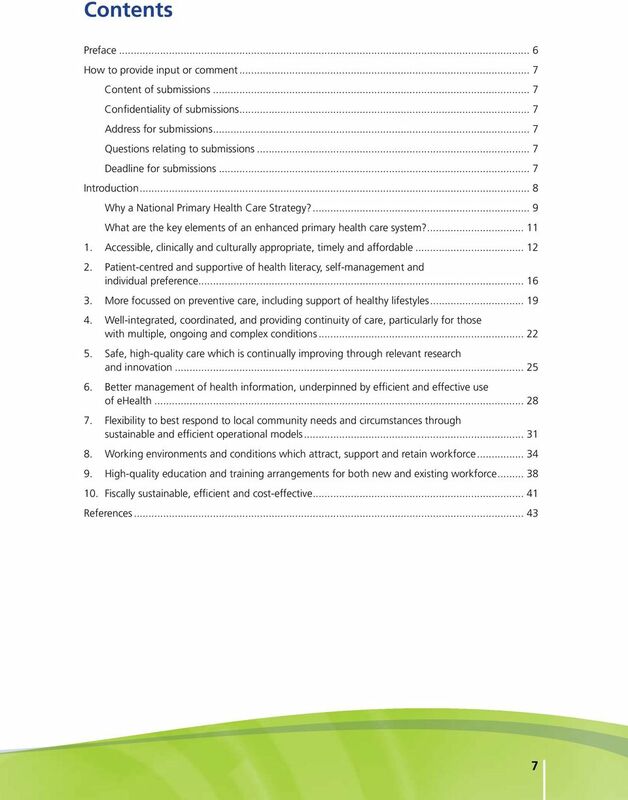 ACHPER NSW PDHPE HSC Enrichment Day 2009 Core 1 Health Priorities in Australia Concept map of syllabus What role do health care facilities & services play in achieving better health for all Australians? 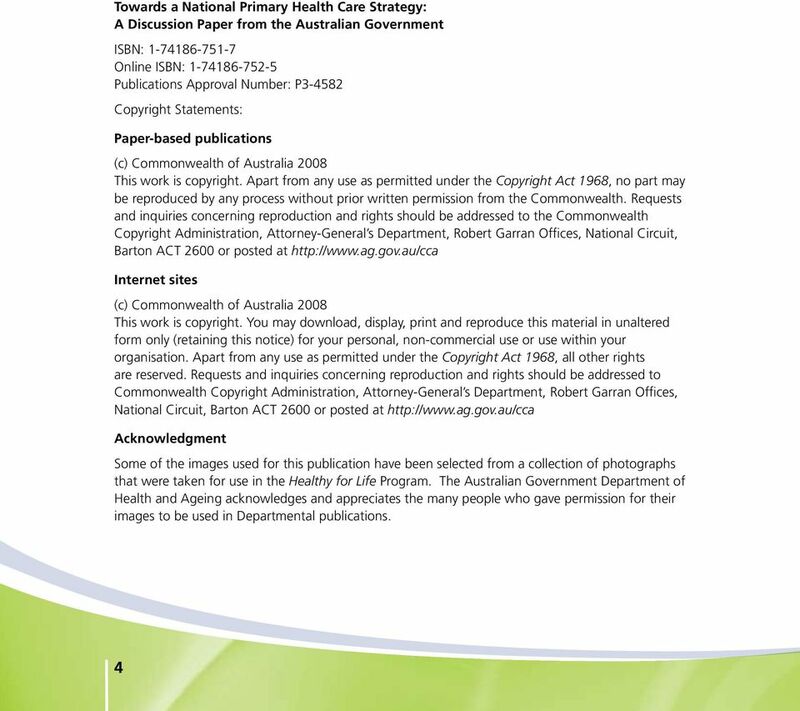 Note that the following document is copyright, details of which are provided on the next page.